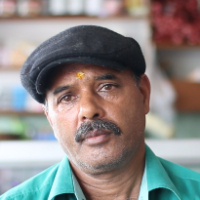 Anil Kumar Aggarwal did his schooling from Mussoorie and after his studies he joined his father's Tea Shop. He made some improvements to this shop and now it is an iconic place in Mussoorie. Anil's Cafe is now a personal favorite of a few famous personalities like Sachin Tendulkar. The Cafe is also listed on Trip Advisor with a 4.5 rating. A cafe is a type of restaurant which usually serves coffee and snacks. It is a small restaurant selling light meals and drinks. "After doing my 10th from Mussoorie, I joined my father's Tea Shop which he opened in 1966. I made improvements to this shop and now it has almost been 44 years since I have been working here. Today a lot of people including some celebrities like Sachin Tendulkar come here."